Taksim Square is the cultural heart of Istanbul. 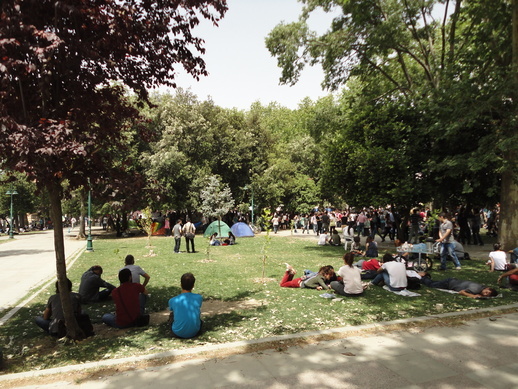 Most of it is paved, but nearby is Gezi Parkı, shaded by many trees. It is somewhat out of the way and hidden from view: from the Taksim side, one must climb steps to reach it, and between it and the main road north, Cumhuriyet Caddesi, there are restaurants and a Turkish Airlines office. 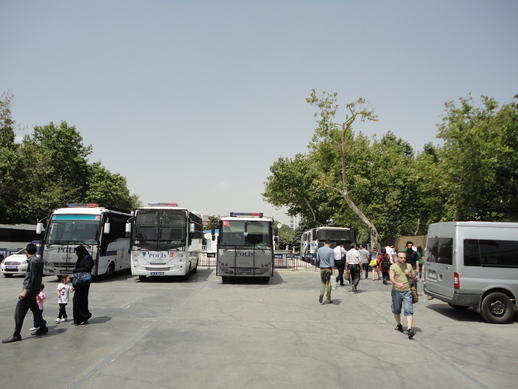 As a tourist in Istanbul, I was only vaguely aware of the park. Now, as a resident, whenever I walk from home to Taksim, I pass through the park. 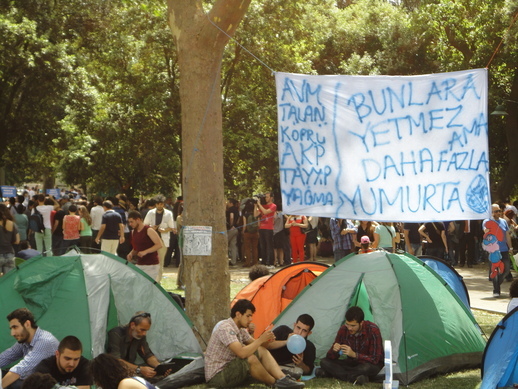 If you have respect for history, first you need to learn the history of Gezi Park. He is supposedly referring to the Topçu Kışlası or Artillery Barracks that used to stand on the land of the park. It is a bad joke. Respect for history has nothing to do with rebuilding a structure that has vanished without a trace. Or does Mr Erdoğan propose also to restore the fields and woods that still existed not too far from Taksim, not too many decades ago? In any case, he does not propose to restore the park to military use. It would be another shopping center or hotel. Not a hotel, a park! 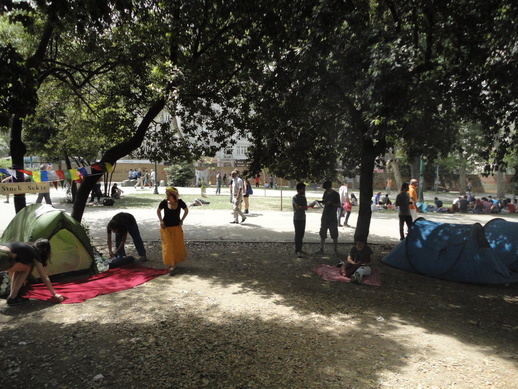 I heard rumors that the cutting of trees in the park had already started, and that protesters had occupied the park over night, but been attacked by police at five in the morning. I visited this afternoon (Thursday, May 30, 2013). I saw the protesters. I did not see any obviously missing trees. I am not sure if there were more police than usual. On the streets outside the park, the sun was hot. 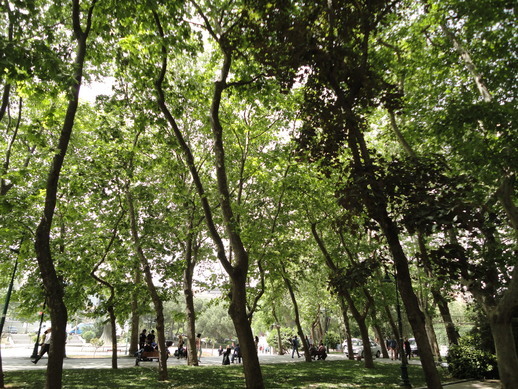 There are almost no places left in Istanbul with grass shaded by trees. 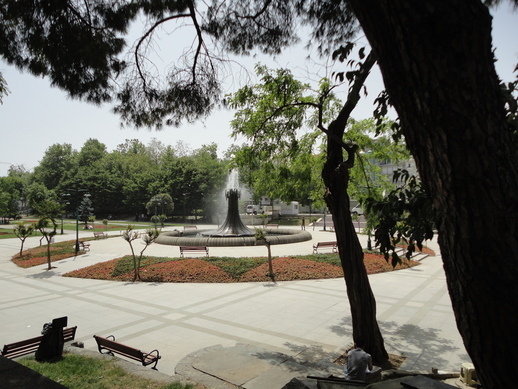 Gezi Park is one of these places. The breezes were pleasant there. In fact some of the hotels nearby are surrounded by park-like land; but this land is private and fenced off. 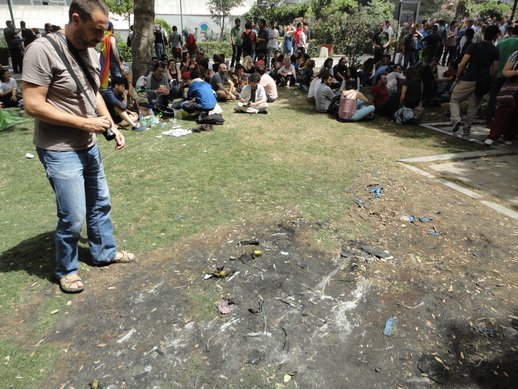 A couple of weeks ago, I noted that the flower beds in Gezi Park were empty. I took this as ominous. Perhaps I was wrong: there were flowers today, and the fountain was flowing. The space beneath the trees east of the fountain seemed occupied by the usual sorts of people, not protesters. Homeless men slept or rested here and there. The protesters were concentrated in the shade at the northern end of the park. I heard that the police this morning had burned some tents. Apparently they did it at the spot above, which somebody else was also photographing. But either the police spared some tents, or new tents were brought in. I do not know the best translation for the sign above. The AKP is PM Tayyip Erdoğan’s party. The bridge referred to is presumably the third bridge over the Bosphorus, the beginning of whose construction was celebrated by the PM yesterday, although it will involve destruction of many more trees than there are in Gezi Park. Protesters have been put on trial for throwing eggs at the PM. I fear the political culture is such that nobody in his own party can tell the Prime Minister when he is being an idiot. 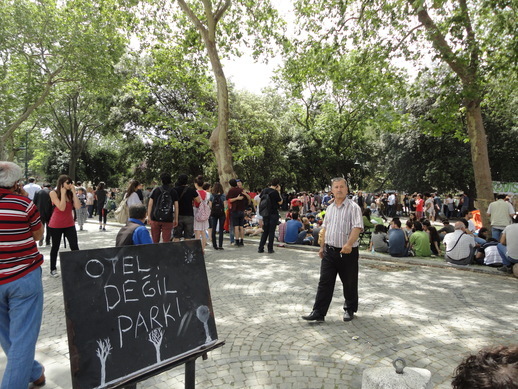 This entry was written by David Pierce, posted on May 30, 2013 at 1:35 pm, filed under Gezi, Istanbul and tagged 2013, park, protest, Taksim. Bookmark the permalink. Follow any comments here with the RSS feed for this post. Post a comment or leave a trackback: Trackback URL. 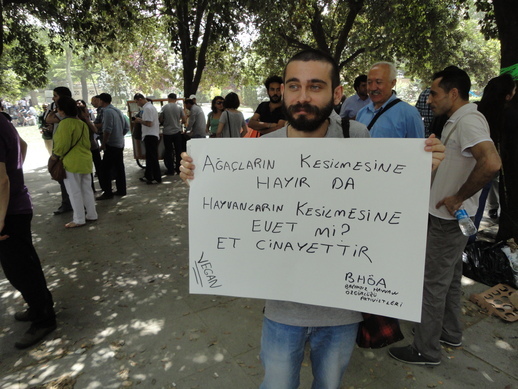 Last sign, below the article refers to a slogan of AKP that can be translated as “not enough but still a yes” to make them vote for a referandum that would bring changes in legal matters that AKP supports. Those changes were criticized and later on some fpublic figures that had voted “yes” admitted they have been wrong, and propaganda for the changes manipulated them and the mainstream into a fallacy. Demonstrators in İstanbul say “not enough eggs to protest but will try” by a similar motto. 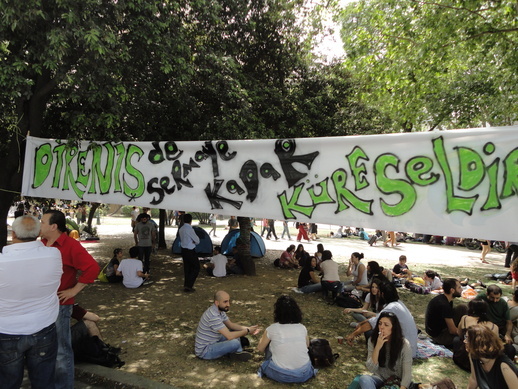 Support them to stop distriyong gezi park ( don’t cut the trees) well done to all this people good luck ! !